Is safety a concern for you when it comes to finding a place to store your stuff? Good! It should be! That’s why our goal is to provide safe storage units in Little Rock that our customers can trust. While 100% safety cannot be guaranteed (we can’t predict the unpredictable), we do our absolute best to make sure we use the latest security features available. Each Modern Storage location is equipped with exterior lighting, controlled-access gates, and 24-hour surveillance cameras to help keep your unit safe. But, that’s not all! Let’s dive into all the security measures we take at our self-storage facilities across the Little Rock metro area. When you drive up to our storage facilities, you will see it is secured by electrically-powered, controlled-access gates at the entrance and exit points. The only way to open them is by using your unique gate code issued to you on your move-in day. Only customers with a valid access code can enter a Modern Storage facility. Each security gate even has a license plate reader to help us identify all vehicles coming into our facilities. If you need to stop by, you can reach your safe storage unit daily from 6:00 am to 10:00 pm. We even offer 24-hour access for any customers that may need it for as low as $10 per month! Our self-storage facilities are under constant surveillance by dozens of security cameras. Our West Little Rock facility has over 50! These security cameras are top-of-the-line to help ensure the safety of you and your items in storage. Our safe storage units have built-in latches that can hold a variety of different locks to keep your items secured. Don’t have your own lock? No worries! We have disc locks and pinhole locks available for purchase at every Modern Storage location. As a bonus, our West Little Rock location even equips each storage unit with a door alarm! Anytime your unit door is opened, you will receive a notification, and so will we. All you have to do is download an app to your phone to monitor the safety of your storage unit. On top of the cameras, locks, gates, and alarms, we also have a manager living on-site at each location to help with any emergencies. While Modern Storage cannot insure your stored items, we do offer tenant insurance through SBOA. Starting at $9 a month for $2,000 worth of coverage, tenant insurance comes in several coverage options to fit your needs. While it is not required, it is highly recommended you secure tenant insurance to keep your stuff safe. It could help protect you from unexpected incidents like tornadoes, floods, or burglaries. Ready to reserve one of our safe storage units? 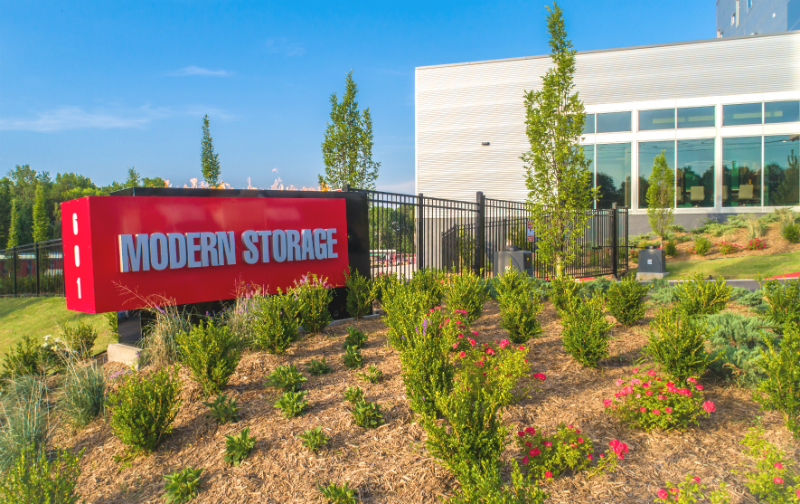 Find a Modern Storage location near you to browse your options now!